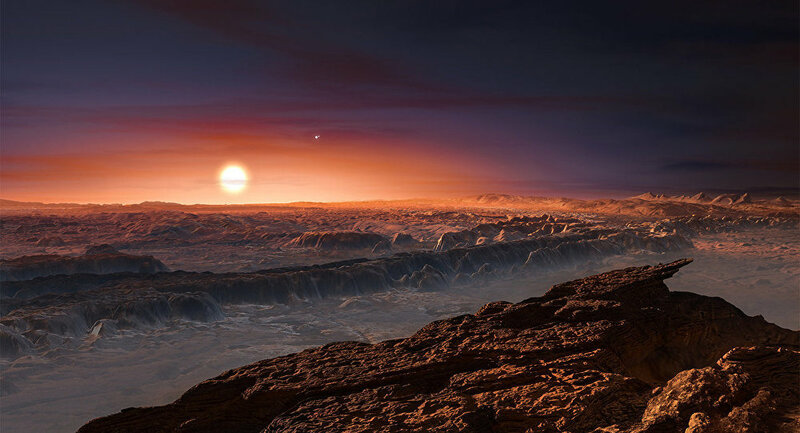 "The major message from our [computer] simulations is that there's a decent chance that the planet [Proxima Centauri b] would be habitable," Anthony Del Genio, a planetary scientist at the NASA Goddard Institute for Space Studies in New York City, pointed out. Er erklärte, dass das Team von Wissenschaftlern insgesamt 18 verschiedene Computersimulationsszenarien durchführte, und dass in fast allen von ihnen Proxima Centauri b einen offenen Ozean hatte, der über mindestens einen Teil der Oberfläche des Exoplaneten bestand. He explained that the team of scientists conducted a total of 18 separate computer simulation scenarios, and that in almost all of them, Proxima Centauri b was seen having an open ocean which persisted over at least some part of the exoplanet's surface.